Promote your business through listings on the Geist Reservoir web site. Have your business name appear on the front page, in the directory and in business categories. 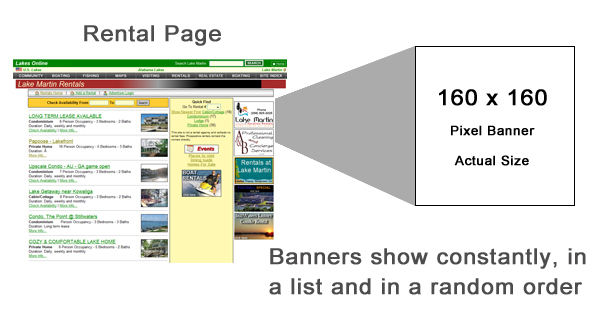 There are several banner positions that run on the web pages of the Geist Reservoir Site. 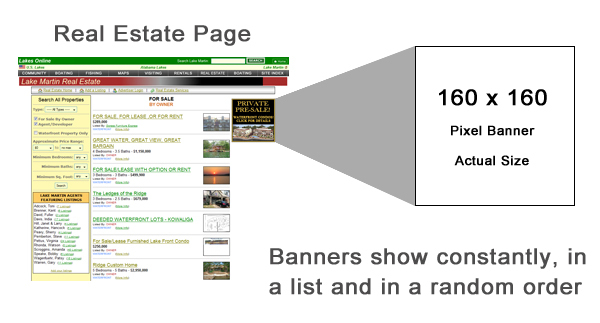 Each banner is custom designed for the promotional campaign you need. Geist Reservoir property owners have the ability to advertise real estate for sale directly to the public on the Geist Reservoir web site. Geist Reservoir rental owners have the ability to advertise their vacation rental directly to the public on the Geist Reservoir web site. If your business sells boats and personal watercraft, you now have the ability to advertise in the Geist Reservoir Classifieds. 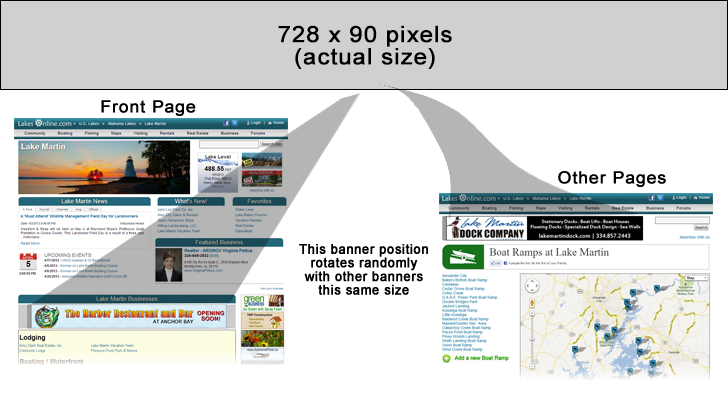 You can also use special pages to use on your web site.